The NJHA Junior Board is comprised of 12 individuals who serve three-year terms and govern the 3,000 member junior organization. Each year, four new members are elected at the Junior National Hereford Expo. Twelve outstanding Hereford juniors serve each year on the NJHA Board of Directors. Every year, four board members are elected to three-year terms at the annual membership meeting which is held in conjunction with the Junior National Hereford Expo. During their term, directors develop and implement programs and events that serve junior Hereford members across the nation. Traveling on behalf of the NJHA to various activities enables them to meet fellow members and to share their thoughts and experiences of Hereford involvement. They also get first-hand experience at leadership, cooperation and organization. The NJHA Board also makes recommendations for new programs and ideas to the American Hereford Association Board of Directors, help train other juniors and they promote the Hereford breed at various activities and events throughout the year. Submit a color photograph of yourself. Photo must be high resolution for printing purposes, 300 DPI or higher. Design one copy of 8×10 campaign flyer. Obtain at least four letters of recommendation. State advisor must submit an NJHA Director Nomination Form. Complete and return application to the AHA youth department by June 1. Application, photos, letters, essay and flyer MUST be submitted electronically through the online application system by June 1. Four new directors will be elected each year. Those elected will serve three-year-terms, beginning as soon as elections are held. Candidates must be a minimum of 17 years of age and not older than 20 years of age as of July 1 of the current year, corresponding with the by-laws of the National Junior Hereford Association. Candidate should have an outstanding record of service to the Hereford industry indicating loyalty to, concern for and knowledge of the Hereford breed and the beef industry, and its current trends. Candidate should be a good public speaker who can easily put words together in a smooth, positive and convincing manner as needed to promote the breed, its juniors and its programs. Candidates are encouraged, but not required, to put together a promotional brochure on themselves and their qualifications for running for national director and distribute to voting delegates. All candidates must be nominated by their state. The nomination form must be signed by the state junior association secretary and advisor, and returned to the AHA youth department by June 1. Each state may have more than one representative on the board of directors at a time. 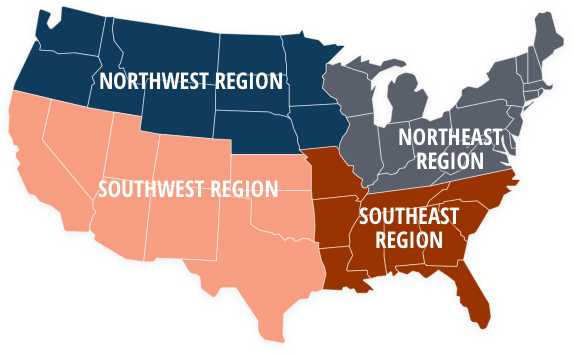 Each of the four regions must be represented by at least one director. Those elected to the national board will be required to attend all board meetings of the NJHA. Two board meetings will he held each year. Locations for board meetings may include: Kansas City in conjunction with the AHA Annual Meeting, Faces of Leadership Conference; the National Western in Denver; the Youth Beef Industry Congress held in March of even-numbered years OR spring board meeting held in March at a location determined by the board during odd-numbered years; or during the Junior National Expo in July. Those elected will represent the NJHA at state and regional field days throughout the summer. Approximately one week at the site of the Junior National Expo and at the Faces of Leadership Conference will also be required of all board members. Directors will have opportunities to speak and conduct workshops at state & national events. Directors must be willing to devote unlimited time to the necessary responsibility of their office: writing letters and articles, securing sponsorships, keeping in touch with state associations, etc. Candidate should be old enough to be mature in their judgments and have no problem when arranging solo cross-country travel. National directors are required to be of high moral character and conduct at all times. To be signed by each NJHA director candidate and their parents/ guardians with the understanding that an NJHA director may be removed from service for violating the Code of Conduct as set forth by the National Junior Hereford Association By- Laws. 1. When elected a director of the National Junior Hereford Association, during my term of service I pledge that I will: 1. Be dedicated and committed to the NJHA and the programs and policies set forth by the board of directors. 2. Be willing and able to commit the entire three- year term of office to NJHA activities. 3. Be willing and able to travel independently as required in service to the NJHA. In order for NJHA Board members to be reimbursed for travel in service for the NJHA, an expense report must be turned in within 30 days of the trip to the Director of Youth Activities. Hotel and travel will be provided for fall and spring meetings as well as travel to national shows as needed. 4. NJHA Board members will be required to speak in front of large groups of audiences at various times throughout the year. Through preparation and practice, develop into an effective public speaker and project a desirable image of the NJHA at all times. 5. Thank you notes, Advantage Newsletter articles, Hereford World articles, selling of calendar ads, sponsorships and auction items are all requirements of NJHA Board members and are to be fully completed by the deadlines as set forth by the director of youth activities. 6. Strive to improve my ability to carry on meaningful and enjoyable conversations with individuals of all ages and from all walks of life. 7. Seek out and accept constructive criticism and evaluation of my total performance. A NJHA checklist will be used to evaluate and monitor NJHA board member total performance and know that it is required by all board members to participate in at least 75 percent of all scheduled meetings, events and activities. 8. Keep up to date on current events within the beef industry and Hereford breed. 9. Evaluate, periodically, my personality and attitudes, making efforts for improvement. 10. Maintain and protect my personal health. 11. Forego alcohol, tobacco and illegal substances at all times during any AHA, NJHA, or industry related events during my term of service. 12. Treat all NJHA members equally by not favoring one over the other. 13. Conduct myself in a manner that commands respect and without any display of superiority. 14. Maintain my dignity while being personable, concerned and interested in contacts with others. 15. Avoid places or activities that in any way could raise questions as to one’s moral character or conduct. 16. Use appropriate language in all speeches and informal conversations. 17. Maintain proper dress and good grooming for all occasions while foll owing the NJHA Dress Code. 18. Work in harmony with fellow NJHA board members, and not knowingly engage in conversation detrimental to other NJHA board members, officers or adults. 19. Serve as a member of the team, always maintaining a cooperative attitude. 20. Be willing to take and follow instructions from officers or the AHA youth director, as those instructions pertain to the policies, procedures and bylaws of the NJHA. As well as respecting the authority of all AHA staff and national advisors, while respecting fellow board members, NJHA members and hosts of NJHA events. 21. No inappropriate conduct with junior members or other board members while representing the NJHA. 22. You are required to physically attend ALL NJHA Board meetings, unless excused by the AHA director of youth activities. Excused absences include: death in the family, family member wedding, severe illness and school sanctioned events (judging, band, FFA). Board meetings will be set well in advance; therefore all absences must be approved ahead of time by director of youth activities. 23. Attendance is also required on conference calls. Understanding that conference calls happen more frequently, and circumstances may prevent you from being on every call, if you are unable to attend please let the NJHA Chairman and director of youth activities know ahead of time so that any updates may be passed along to the group. If at any time an NJHA Board member disregards the NJHA CODE of CONDUCT, there will be consequences that may lead to removal from the NJHA Board of Directors as set forth by the NJHA director of youth activities and the NJHA By- Laws . As a NJHA Board Member you are leading the second largest junior beef breed organization in the nation. With this prestigious position comes a great amount of responsibility, therefore it is asked that you treat your election to the NJHA Board of Directors as a job. When you are working for the NJHA, it is extremely important to abide by all the rules as outlined in the CODE OF CONDUCT. 1. I will interpret the organization’s work and values to the membership, represent the organization, and act as a spokesperson. 2. In turn, I will interpret our members’ needs and values to the organization, speak out for their interests, and on their behalf, hold the organization accountable. 3. I will attend at least 75 percent of board meetings, committee meetings, and special events. NJHA members will be required to send a written pre-approved excused absence to youth director prior to the meeting and or event. 4. I will actively participate in all fundraising activities; I will sell the required amount of calendar ads in order to receive travel funding. The required amount of calendar ads is 6 small ads and 1 large ad. 5. I will stay informed about what’s going on in the organization. I will ask questions and request information. I will participate in and take responsibility for making decisions on issues, policies, and other matters. I will not stay silent if I have questions or concerns. 6. I will work in good faith with staff and other board members as partners toward achievement of our goals. 7. If I don’t fulfill these commitments to the organization, I will expect the Director of Youth Activities to call me and discuss my responsibilities with me. 8. I will uphold all rules set forth by the National Junior Hereford Association Code of Conduct, By-Laws and NJHA Director Guidelines. 9. All candidates must be nominated by their state. The nomination form must be signed by the state junior association secretary and advisor and submitted to the Review Room by June 1. 1. I will be sent NJHA Correspondence, without having to request them, semi-annually financial reports and an update of organizational activities that allow me to be the best board member I can be. 2. Opportunities will be offered to me to discuss with the executive director and the board president the organization’s programs, goals, activities, and status; additionally, I can request such opportunities. 3. The organization will help me perform my duties by keeping me informed about issues in the industry and field in which we are working and by offering me opportunities for professional development as a board member. 5. If the organization does not fulfill its commitments to me, I can call on the board president and executive director to discuss the organization’s responsibilities to me. If at any time an NJHA Board member disregards the NJHA CODE of CONDUCT/NJHA Director Agreement, there will be consequences that may lead to removal from the NJHA Board of Directors as set forth by the NJHA director of youth activities and the NJHA By-Laws. As a NJHA Board Member you are leading the second largest junior beef breed organization in the nation. With this prestigious position comes a great amount of responsibility, therefore it is asked that you treat your election to the NJHA Board of Directors as a job. When you are working for the NJHA, it is extremely important to abide by all the rules as outlined in the CODE OF CONDUCT and NJHA Director Agreement.